So please could I be selfish with your body? “Before you decide how you’re going to say something, it’s definitely important to decide what you’re going to say,” says Jaymes Young. He’s deep in thought about production and songwriting – so much so that he doesn’t even realize the beautiful pullquote he’s just given me. If anything, that’s a testament to this artist’s authenticity: Young’s debut album Feel Something (released June 23, 2017 via Please Rewind/Atlantic Records) is at once perfectly polished, yet turbuluently raw, distinguishing Jaymes Young from the massive Los Angeles pop scene he proudly calls home. Young’s music has always had this evocative pop glaze about it – a vibrant shine that has as much to do with his incredibly powerful singing voice, as it does the instrumentation he uses to supplement. Yet the magic of Feel Something lies in its ability to make us, the listener, really feel something: Anxiety and doubt, lust and desire, love and affection – these elemental emotions jump out across a meticulously-crafted record engineered as a vessel of, and for emotional release. Considering the sheer bombast of each performance, one would hardly guess that the majority of Feel Something was written, recorded, and produced in Young’s home studio. From its pulsing, sultry opener “Tied Down” to the clubby, heart-on-sleeve ending “Infinity,” Feel Something boasts a wealth of rich textures and engaging melodies that make our often mundane-seeming life experiences feel extraordinary. Young delivers easily relatable experiences – situations we can all understand. Take, for instance, his runaway hit with Phoebe Ryan, “We Won’t” – a lyrically jam-packed duet that unpacks a relationship piece by piece, while finding a stirring balance between Ryan’s high soprano and Young’s middle tenor. The two voices burst with heartbroken energy, warmth and passion amidst a bed of swelling synths and perfectly-timed drums claps. With nearly 30 million streams on Spotify alone, “We Won’t” is Young’s biggest hit to date – a subject he’s mildly bashful about – but there are plenty of tracks across Feel Something that are likely to give that duet a run for its money. “Don’t You Know” has an incredibly emphatic synth bass line that catapults the song’s chorus forward, ringing in our ears long after the music’s over. 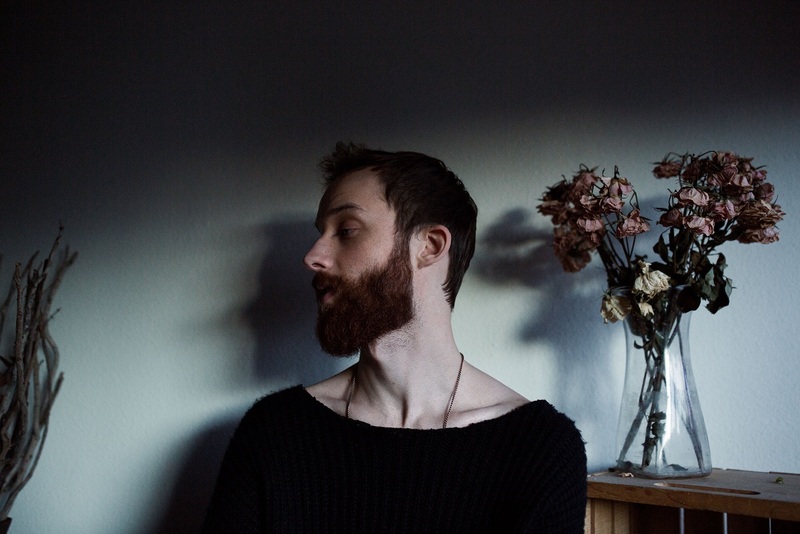 Similarly infectious is Young’s overflowing love song “Stoned On You,” in which he shows off his remarkable falsetto. However, the strongest magnetism seems to come from this album’s core – title track “Feel Something” is a burning, emphatic cry for real, human and genuine connection. Singing atop a majestic mix of percussion and cutting synth, Young’s voice is intimate, vulnerable, and in-your-face – which is perhaps the best way to describe the artist’s debut as a whole. A carefully conscious, intellectually ambitious and outwardly personal record celebrating the good times as well as the bad, Feel Something bears the pop potential to take over the summer. Dive deeper into this electrifying debut with Atwood Magazine via our exclusive interview with Jaymes Young, and make sure you catch him on his Feel Something North American Tour, which began yesterday in Los Angeles and lasts through the beginning of August! Jaymes Young’s album has already succeeded, as far as the artist is concerned; the question is, how many more people will be moved by his music? Atwood Magazine: Thanks for your time today, Jaymes! How long have you been out in California now? Jaymes Young: Thanks! I’m actually from Seattle, and I’ve been in the LA area since about 2012. Is that pretty much when the Jaymes Young identity began, musically? 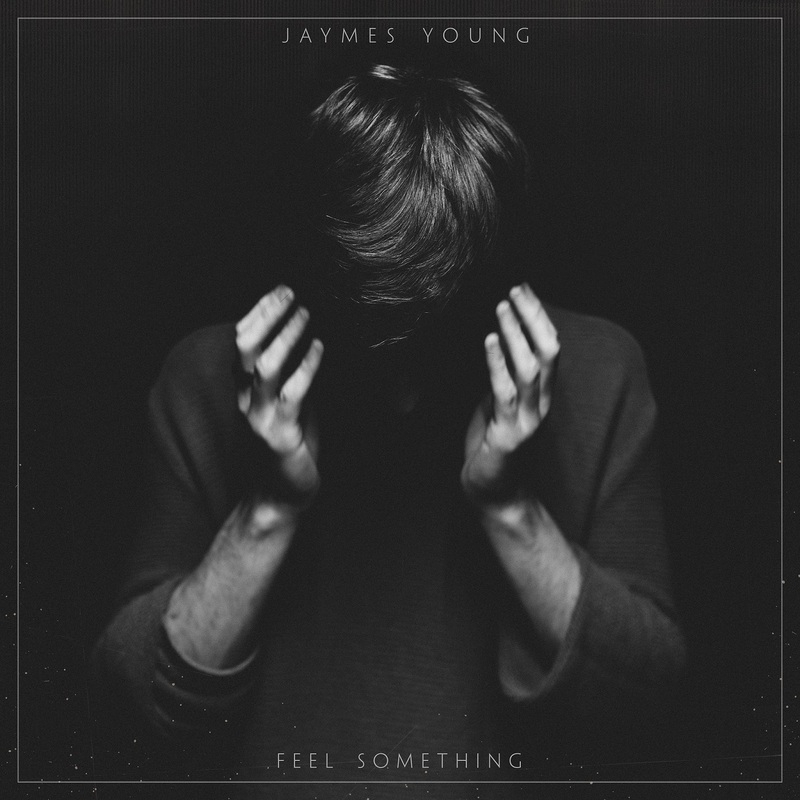 Jaymes Young: Yeah, pretty much – that’s probably the best way to describe it. What are the differences between the person who's releasing Feel Something and the person who released Dark Star a few years ago? Jaymes Young: It’s been a while, that’s for sure. I think I’ve had a lot of time to start making decisions about what kind of story I want to tell. I think when Dark Star came out, it was spontaneous and right off the cusp of whatever I was feeling. These days, I’m reflecting a little bit more on what I want to say to people, and how I want to say it, and hopefully taking a little more time to craft that. One theme I felt going through your singles is relating to others - your interpersonal exchange with lovers, friends, family, etc. Jaymes Young: I definitely want to relate to people and tell other people’s stories, and have whatever stories I tell be tangible; that’s something I’ll continue to do, regardless of what I’m writing about, even if it’s something that might seem unattainable, or if it’s an idea that’s a little bit abstract. I’m always trying to make it so that the listener can actually experience that perspective. You've found a great way to integrate 'electronic' themes in your music in your songs. Jaymes Young: Some songs happen overnight and some songs take a while to craft, and it’s never 100% done – you kind of just have to decide when (or if) something’s done. If it sounds the way you want it to sound, and if it’s got the integrity you think it needs… I think I’ve been learning how to produce and how to get the sounds I want, how to record as I go. It’s been a steep learning curve, and I’ve still got a lot of stuff I want to learn. I think each time I put out music is going to be through a different lens – it will have whatever I’ve learned or experienced in the music, whether that’s the writing side of it or the production side. I mean, you can't tell the same story every time. Jaymes Young: Yeah, of course not! And even if you are telling the same story, you definitely want to tell it a different way. It’s interesting, coming from Seattle where songwriting is still very traditional – even some of the people who would consider themselves pop, maybe – and then you come down to LA, and it’s really just a different world. I try to remember that writing like that is important before you get into production – before you decide how you’re going to say something, it’s definitely important to decide what you’re going to say. Before you decide how you’re going to say something, it’s definitely important to decide what you’re going to say. That feels like a pull-quote, if I ever heard one! Jaymes Young: (laughs) I guess what I mean to say is that with production, these days it happens at the same time in songwriting. You sit in a room at a computer or on a keyboard, and you kind of do it backwards sometimes – produce stuff before you write it. And when you produce something before you write it, you’re really saying how you’re going to say something, but it’s funny because sometimes you don’t have anything to say yet. It’s tricky, for me at least, deciding which is important. The title Feel Something feels so appropriate for your album. On “Don’t You Know,” you’re trying to get yourself out there… Through “Stoned on You,” I can hear the impact of others on you, and “Feel Something” is clinging to find anything… The music you're introducing yourself with has this emotionality to it - this depth of needing to find something more. 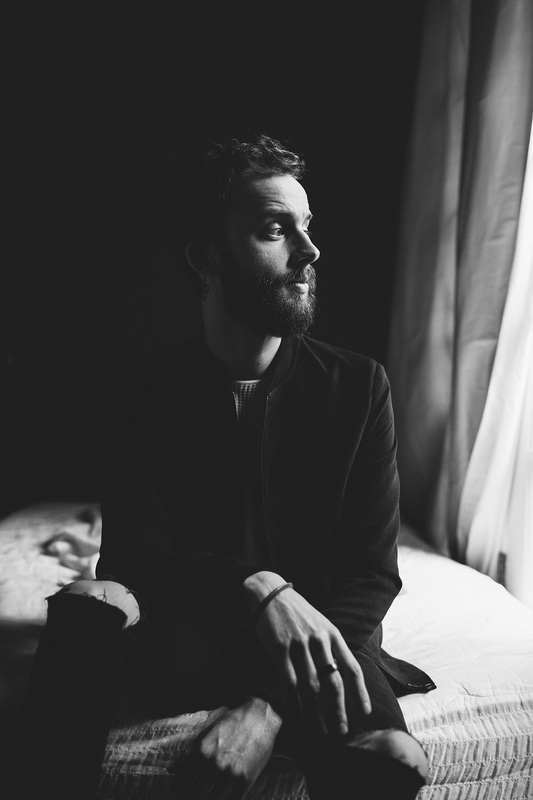 Jaymes Young: I would say that is a great way to describe some of the inspirations on the emotional aspect, there. It's complicated, isn't it, being in the pop music world, to create music that means something to you, while at the same time sounds good. 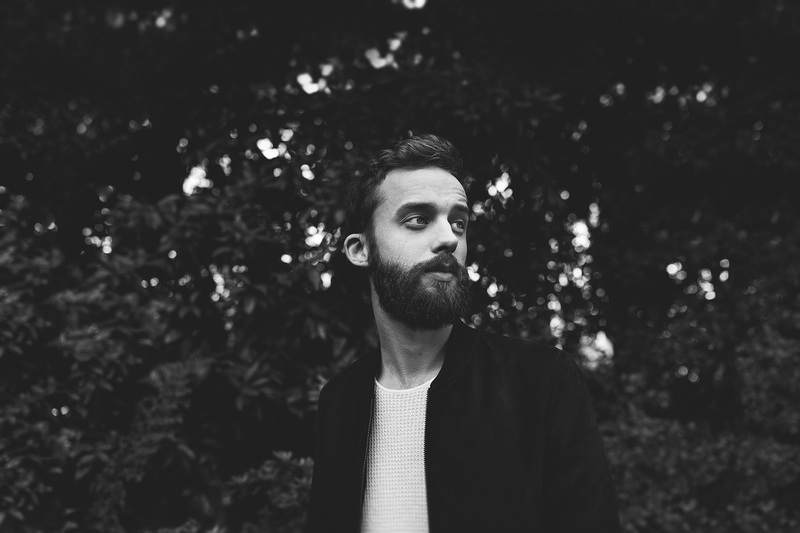 Jaymes Young: I feel like a lot of people, at least traditional folks and integrity-based listeners, tend to loathe pop music – for different reasons! But what I’ve discovered, personally, is that those different genres are just different platforms. Pop just happens to be the biggest platform, I guess; it has a lot of reach, and I feel like, instead of viewing that as a negative thing or as stepping away from music and songwriting in a traditional sense, I want to approach it as a positive thing: That hey, there’s a huge microphone right here, and you have the opportunity to say pretty much everything you want. Pop, as a style and as a genre, is a filter. It does make it tricky and challenging, but there’s a lot of pop songs out there that don’t feel forced. I think those songs are a testament to the fact that sometimes, art just happens – and sometimes, a song is pop, and sometimes it’s not. It doesn’t necessarily make it better or worse; you can still say the same thing in both ways. Diving deeper into the album, why start off with the song “Tied Down”? Jaymes Young: I wanted to put that song on the record first because it’s got a little bit of a different direction, and I thought it had something special, and it would be a nice way to reintroduce my music to fans and new listeners. I tried to still make the same music and just have it feel a little more real; I think when it came down to LA, I felt I had to use Auto-Tune and synth, and have perfect vocal takes… I think with this record, I tried to put a little more balls into things, and also alongside that, having things be real – as real as possible, without compromising the song I’m trying to make. “Stoned on You” is fun because you really love that falsetto, and I love it too! There's that dynamic between the dark synth pads and your higher voice. How did you explore that, and what is it about it that gravitates you toward that style? Jaymes Young: I’ve been embracing it! I don’t know; maybe before, I’d used a little bit of that… I don’t consider myself a professional vocalist or singer. I think in wanting to make the album feel more real and natural, it actually made it easier to do different things with my voice that I hadn’t really fully embraced before. It comes down to little decisions, like tracking something four times and using the best one, or doing something as straight as I can and not cleaning these things up – just leaving them a little bit messy. I think that in retrospect, that actually made things sound a lot better than as opposed to overthinking things or trying to make things too clean or perfect. Musically, you sort of said whichever one of these is the best, we're going to roll with it and keep going! Jaymes Young: Yeah, and I think that’s mainly what has allowed me to try new things with my voice and just be comfortable with that – accepting that. I get a sense that you put a similar urgency in your lyrics. You wrote “Don’t You Know” one night a few summers ago. I’m curious if you can talk a little more about that story. Jaymes Young: I was living in a guest house out in Van Nuys; it was summer 2015, and I remember there were a couple weeks where it was over 110 degrees. I left a thermometer in my bedroom and I remember it hit 120 at one point; it was ridiculous, I couldn’t sleep in there. I had this wall unit A/C, but it just kept shutting off. I’d open up all the windows at night and try to cool off the place… not that this has a huge impact on the song, but I had kind of been “hermiting” for months and just writing, struggling with writer’s block and being off tour and restless. I wanted to express that somehow, and it was this frustrating feeling. The song and lyrics happened really quickly! Lyrically, it’s kind of a love song, but in the moment I wrote it, I think it was more about the frustration of me being restless and wanting to pull myself out of the situation I was in. You can feel that restlessness, it's constantly pounding, going-going-going throughout! Jaymes Young: It might have something to do with the anxiety of the lyrics, maybe! (laughs) If that’s how it makes people feel, then I’m glad because that’s how it should make people feel. We should talk about “We Won't” and your feature with Phoebe Ryan as well. Being in the LA scene has a lot of perks, and I’m sure that one of them is collaborating with other artists. Jaymes Young: Not that this dictates too much, but I’ve actually had a little bit of trouble collaborating with people – at least on my own project. What I’ve realized is that you just have to find people you’re really comfortable with and have chemistry with – whether it’s writing or production, or whatever. Being in LA is huge for that reason – I wouldn’t have the resources that I have now if I was still in Seattle; things would probably look very different. I had heard one of Phoebe’s songs, and reached out to her, got in contact with her somehow… Two or three weeks later we did a session, and “We Won’t” happened in a couple days. For me, it’s definitely been cool to watch it get plays that I never thought it would – overall, that song and collaboration has been a really pleasant surprise! I never expect too much from anything; but that song’s on the album, and she’s the only other voice on the album. I’m trying to respect the fact that this song is doing its own thing, whether or not anybody’s trying to make it do that, so… yeah! You sound like an unlikely success story - like you don't welcome it. It's not the end goal. Jaymes Young: I think the thing that’s kept me going for years and years, because all of this stuff is fairly recent for me, and I’ve been making music since I was 12, 13, 14, and seriously loving and being obsessed with it since that age, and… so, why would I change my mindset? The thing that keeps me going is just to yearn, to keep creating… and so, I like the idea obviously of a song doing well, and of a lot of people getting to hear something, but I want to make sure that I’m not satisfied, because I don’t want to stop feeling like I need to create. That anxiety to create music and to constantly be thinking of new ideas – maybe it’s like exercising your body, for some people where they get addicted to it; I don’t ever want to feel like there’s a moment where I’ve done something I can’t do again, or I’ve done what I wanted to do; I just want it to feel like a journey that’s never going to end. I want to make sure that I’m not satisfied, because I don’t want to stop feeling like I need to create. Your voice is not one moment, one time; you want to continue to express that. How have you branched out on this album? How are you turning this album into a live show? Jaymes Young: I’ve been working with these two live guys whom I met this year, who are absolutely wonderful players and super great. Tour is going to be a lot of new songs, obviously, and old ones as well – some songs I never had the chance to play live before, so I’m excited to do that. With the two EPs and mixtapes I had out, there are just some songs I never had the chance to play live. We’re doing a three-piece, full band setup, and I’m going to be doing some stripped versions of stuff too, just to embrace some of those more intimate moments with the crowd. It’s a short run, but I know that more things are going to come down the road. How does touring compare to production, for you? You were saying earlier how you feel at home in the creative space; how do you find comfort in the touring world? Jaymes Young: I think I’m still adapting to it. I’m a little bit of a homebody a lot of the time, and what’s weird about that is I love getting out of the house and traveling; it just happens to be that one of my favorite things to do in the whole world is also mostly done in very dark places, with no windows. It’s actually nice; I think that it forces me to get out and see things, and interact with people and not be antisocial. It’s probably good for me! Well thank you so much Jaymes, and congratulations on your new album! Jaymes Young: Thanks a lot!